Fall is finally here and it’s time to get busy in the garden. Did you know that fall is the best time of year to add new plants? It doesn’t matter where you live, planting in fall gives plants three seasons to grow a healthy root system before summer arrives. 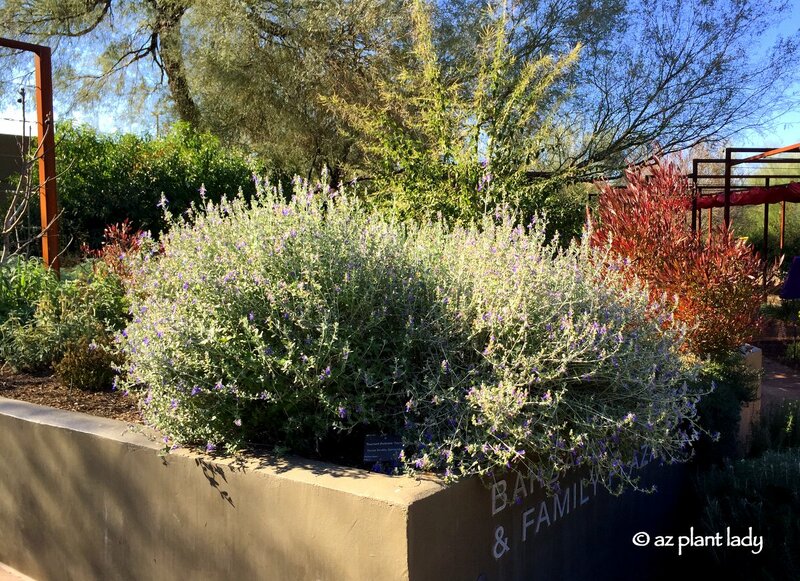 Today, I’d like to share with you another drought tolerant and beautiful plant – shrubby germander (Teucrium fruiticans). While it’s name may not be impressive, this shrub certainly has a lot to boast about. First, it has blue flowers that add welcome color that contrasts with other colors such as orange and red. The silvery foliage also adds great color contrast to the landscape when paired near plants with darker green foliage. 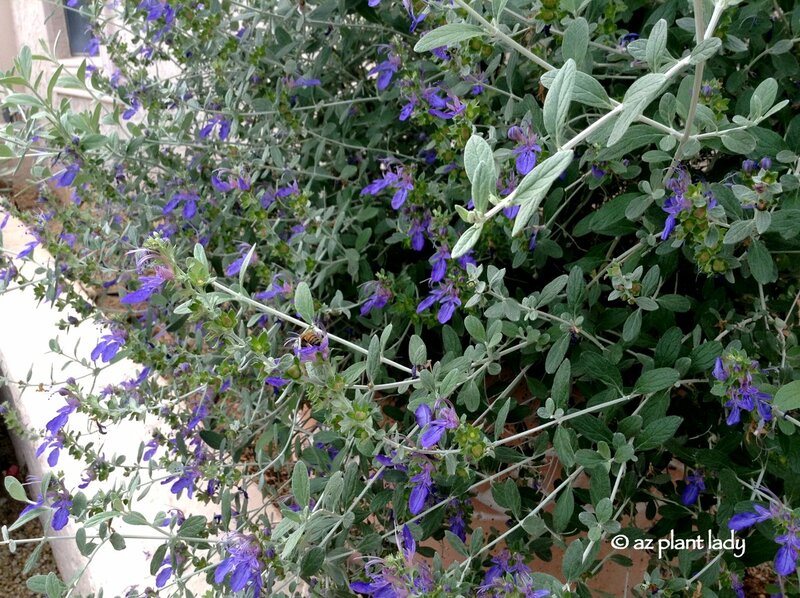 Shrubby germander can grow 5 – 6 ft. tall and wide, however, there is also a more compact variety ‘Azureum’ that only reaches 3 ft.
For more reasons why you’ll want to add this attractive shrub to your landscape, check out my latest plant profile for Houzz.com.